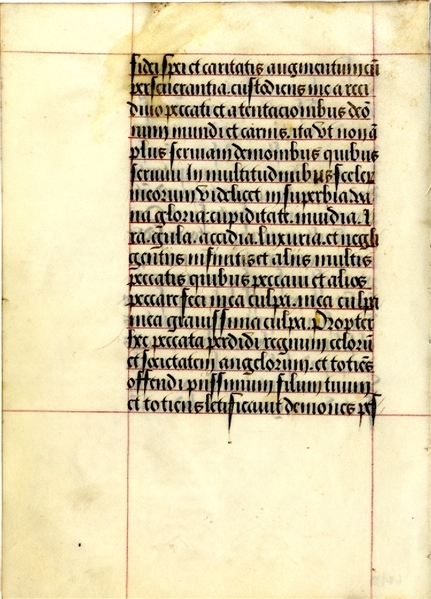 Original leaf from “Horae Beatissimae Virginis” handwritten on vellum in northern France in the last half of the 15th century, 1pp. octavo, fine condition. The book of “Hours of the Virgin” was among the most popular of early books; a manuarl of private devotions, essentially a shortened Breviary from laymen and women, it exists in sumptuous elegant versions and in more humble examples such as the present leaf.